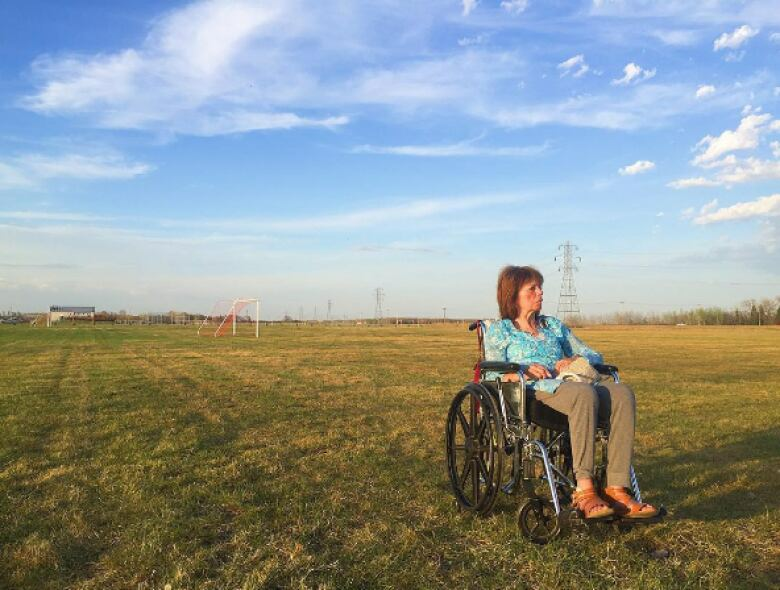 When she found out her Mom had terminal brain cancer and didn't have long to live, Lindsay Somers took Monday and Thursday afternoons off, and took her Mom outside. 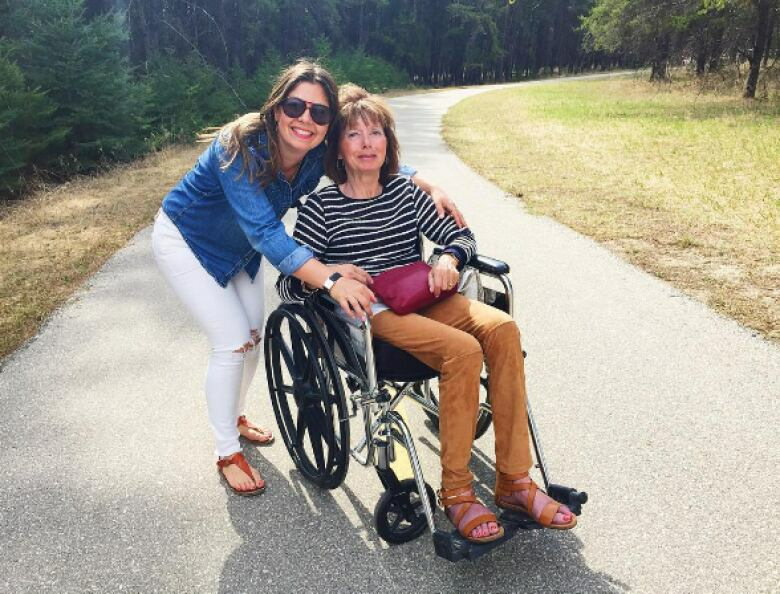 When she found out her mom had terminal brain cancer and didn't have long to live, Lindsay Somers took Monday and Thursday afternoons off, and took her mom, Donna Glowa, out into the world. They went for lunch, went to the horse races, but mostly, they spent time outside, together. 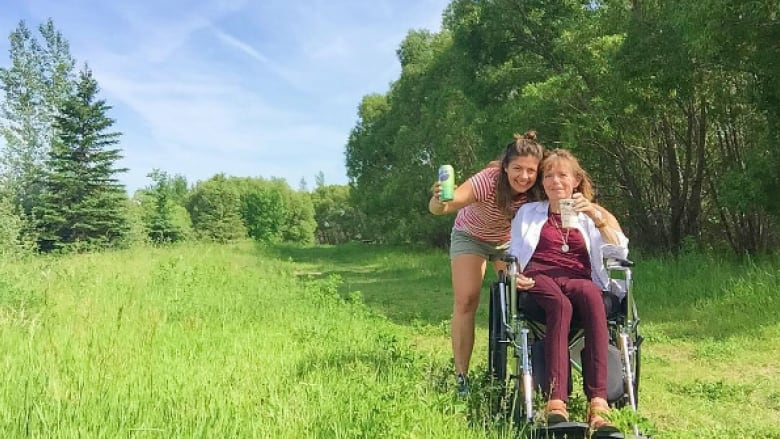 At a spot she and her mom spent a lot of time at, close to the footbridge at Winnipeg's Assiniboine Park, Somers talked about those times, and what they meant to her. I know that this place is pretty special to my mom, who recently passed away, and I'm pretty sure she came here to say goodbye the last time she was here. We were actually on this exact bench, which is funny. Lindsay Somers and her mom, Donna Glowa, spent as much time outside as possible. (Lindsay Somers, Instagram)We sat here, and she didn't really want to talk, at one point she actually asked me to wheel her lower to a spot, and she was like "can you just leave me for a few minutes?" And she just had a few moments with herself, just closing her eyes and breathing. This was a place she had been to throughout her life, and again at the end of her life too, and it sounds weird, but like this was her church if there was a church for somebody. This is a place that held her when she was in really tough spots in her life. I remember looking up at her, and she was just leaning back in this chair, and she had her eyes closed and she was really feeling the sun on her skin. I was just so happy for her to have that, you know like, to have that moment. When you're fighting for your life and everything is really hard, it's hard to find moments of solitude and peace where you're not thinking about, or remembering that you're dying. I just love seeing what it did for her. I took photos of a lot of the things we were doing and shared them on Instagram, and we would be in these parks and beautiful places and people would start asking me, "where is that? ", and it was inspiring people to go outside and connect with people in these places. So I think my mom really made it achievable. If this woman in a wheelchair can go on a frozen river to look at warming huts, you know what, maybe I can put on a jacket and go outside too.